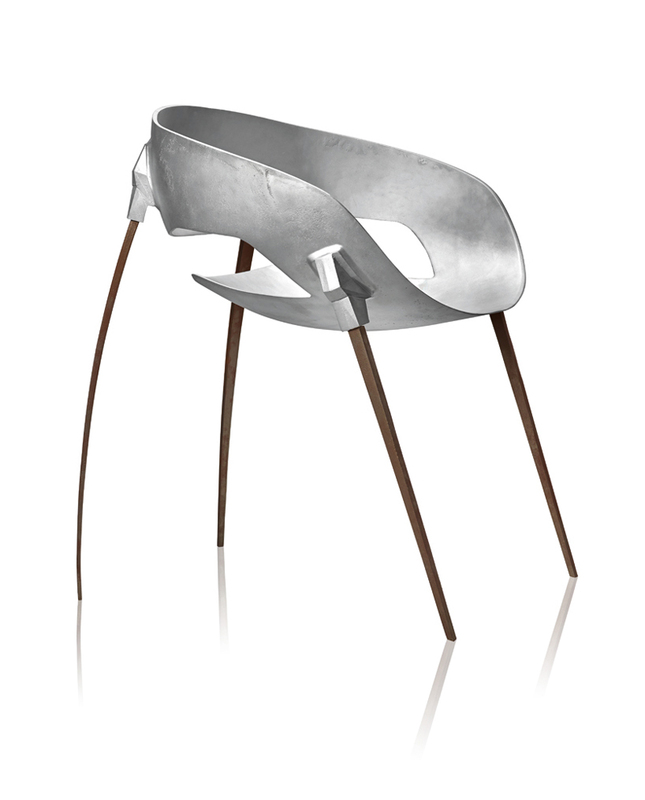 A steel and aluminium structure, the Sputnik chair theoretically insists on the simplicity of its conception, materials, and inspiration. Over the course of its development, the Soviet archives on the OKB-1 were an object of study, along with technical points such as how to honour the exact dimensions of the satellite, so that its reincarnation as a seat and functional chair could meticulously respect the dimensions of the source. 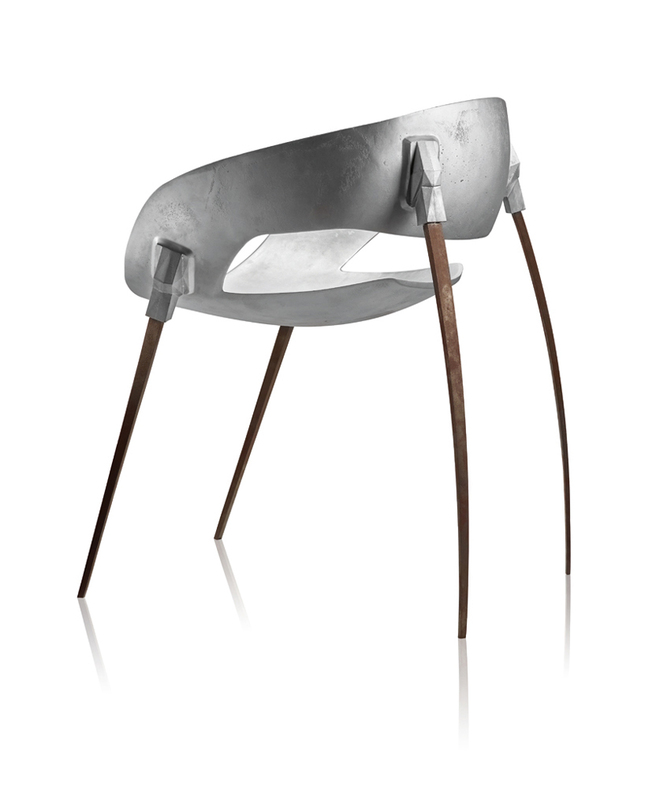 However, the Sputnik chair is no less complex as a triumph of smelting and an assembly of steel and aluminium. 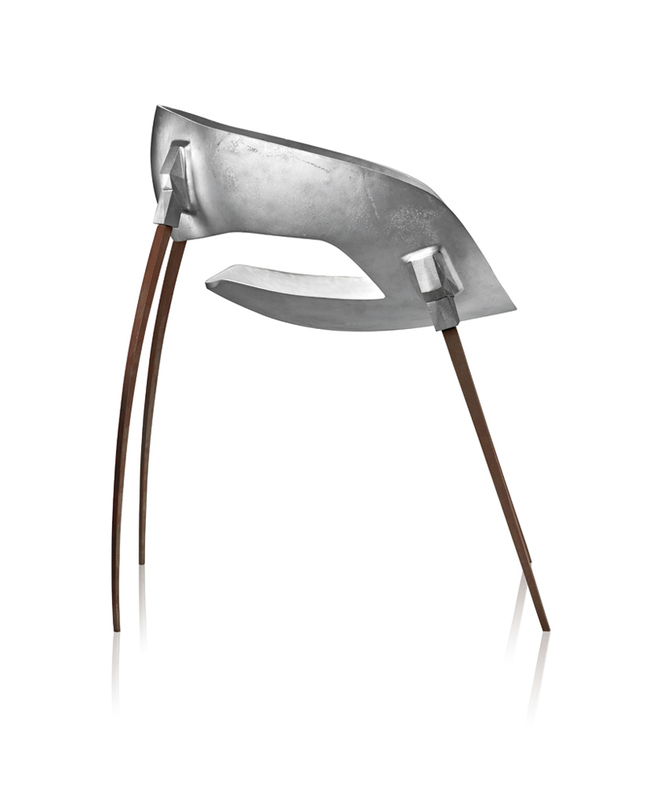 The different melting points of the composite materials require highly technical brazing, chemically-set sandblasting, and a polyurethane process, guaranteeing a faithful reproduction of the shapes and an immaculate appearance of the pieces. Dimension: 64 cm x 58 cm x 75 cm. On 4 October 1957, history changed forever when the Soviet Union launched Sputnik I, the very first artificial satellite, into space. The success of the launch caused great surprise, as much for the public as for the experts. The technical difficulty of the launch itself prevented any hope of success on the part of the Soviet Union, who were believed to be far behind the United States in the technological stakes. A true source of trauma for the Americans, the metallic sphere the size of a beach ball (58cm in diameter) began a frantic race between the USA and the USSR for the conquest of space.